Question, When starting a new cross, how much of your parent selection and planning is involved vs pure instinct and lets put these two together and see what happens? Before you answer, let me also explain that I grew up on a farm, and have a basic understanding of breeding programs. Whether its chickens for egg production or horses for show, having an idea of what you want for a end result is important. 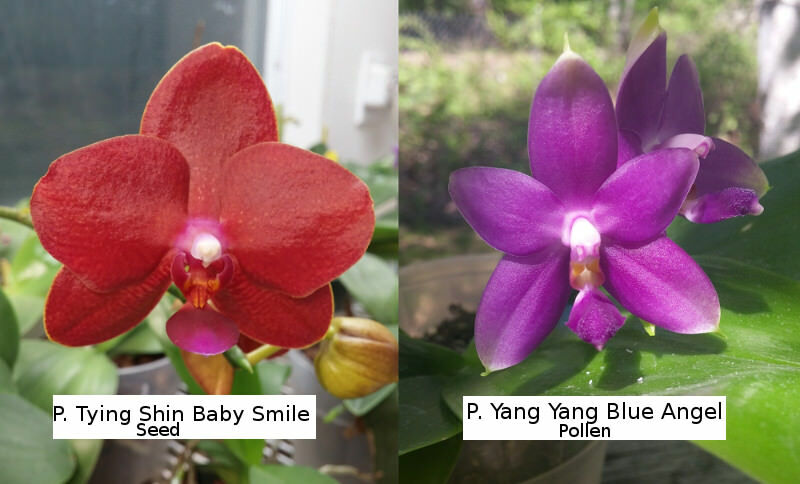 Given the length of time from pollination to flowering can be 5 years or more, and the amount of work involved, this seems far more important in Orchids than in most breeding programs. Anyways, I have in bloom a P. Tying Shin Baby Smile and a P. Yang Yang Blue Angel.